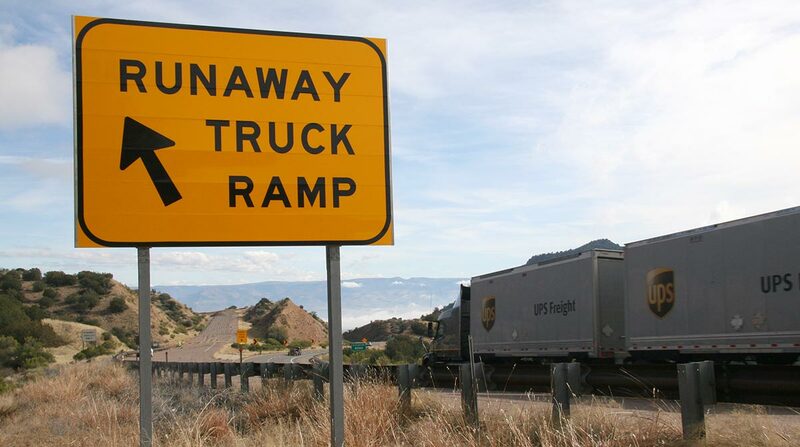 Tractor trailer drivers who crest a hill shouldn’t rely solely on brakes to slow them on the way down. Trucking experts say doing so can result in brake failure and preventable accidents, which they say are often caused by young and inexperienced drivers. Greg Brown, the CEO of BR Williams in Oxford, Alabama said by phone that air brakes on trucks can fail in at least two ways. In one, there’s a failure in the air brake system, which supplies compressed air to the brake, which keeps them open while driving, Brown said. Without that compressed air, the brakes are automatically applied and can lock brakes up. A truck’s brakes can also fail if the driver keeps the brakes depressed for an extended length of time, which often happens with inexperienced drivers in downhill slopes, Brown said. The brakes get hot and fail, and can catch fire, he said. “Don’t ride your brakes all the time. Use them sporadically, and if your truck has a jake brake, it should be engaged,” Brown said, referring to a device that uses the power of the engine to slow the truck. The manual recommends that drivers put the truck into the proper low gear, press the brakes just hard enough to notice a slowdown, and use brakes for periods of around 3 seconds before releasing them. Jack Garrison, a trainer with ESD School, which teaches truck driving classes in three Alabama locations, said by phone that brake failure caused by overheating can be prevented. “You want to be in lower gear than what you go up the hill in. Don’t wait until you start down before you try to change gears,” Garrison said. Garrison said he teaches students to give their brakes time to cool down by using them sporadically and to drive at least 15 mph slower on downhill roads than the posted speed limit for non-commercial vehicles. “On a 6% grade, if you’re loaded and heavy, the brakes are going to heat up really quick,” Garrison said. He added that if all of the truck’s individual brakes aren’t adjusted properly, the brakes that are adjusted will heat up much quicker. Garrison said that in his 43 years and 5.5 million miles of driving trucks he’s found that younger, less-experienced drivers tend to use brakes more frequently. “The young drivers think you’ve got to ride the brakes all the way down the hill. If they see some smoke or something, they’ll panic and press the brakes even harder,” Garrison said. A 2006 study by the U.S. Department of Transportation’s Federal Motor Carrier Safety Administration found that one of the most common causes of truck crashes was driver error caused by driving too fast, and the most common vehicle equipment-related cause was brake failure.